Better graphics and the ability to run two apps side by side are coming to Google's latest version of Android, dubbed N.
So far, just 7.5 percent of active Android users have last year's version of Android, called Marshmallow. About a quarter are still on versions from 2012 or earlier. For that, people can thank smartphone makers or their wireless carrier — and maybe both. Last week, two federal agencies asked them to explain why they're so slow to update Android, as delays mean consumers aren't getting the latest security improvements. They also deprive most Android users of the latest technologies. Marshmallow, for instance, introduced fingerprint sign-ons and other features, but so few people have it that some app makers haven't bothered to incorporate them. Citibank and Capital One, for instance, now let iPhone users sign into their apps with a touch of their finger; neither bank has brought that to Android yet. There isn't an easy fix, either, although there are a few ways you can circumvent the bottleneck. Click ahead for more. If you're ready to switch from an Android operating system to an iPhone, here's how to back up your contacts, bring over your photos, and other tips. Apple says 84 percent of iPhone users have the latest version of its basic operating software, iOS 9. Apple bypasses wireless carriers and sends updates directly to users. It also designs and manufactures all iPhones and releases just a handful of models at a time. Google, by contrast, deals with a variety of chip makers and phone manufacturers , each of which adapts Android to its liking. Many carriers also want to preload their own apps, something Apple forbids on the iPhone. All this tweaking and testing takes resources these companies would rather devote to the most recent phones. Android models that are just two years old often won't make the cut. Apple, by contrast, still supports the 2011 iPhone 4S. 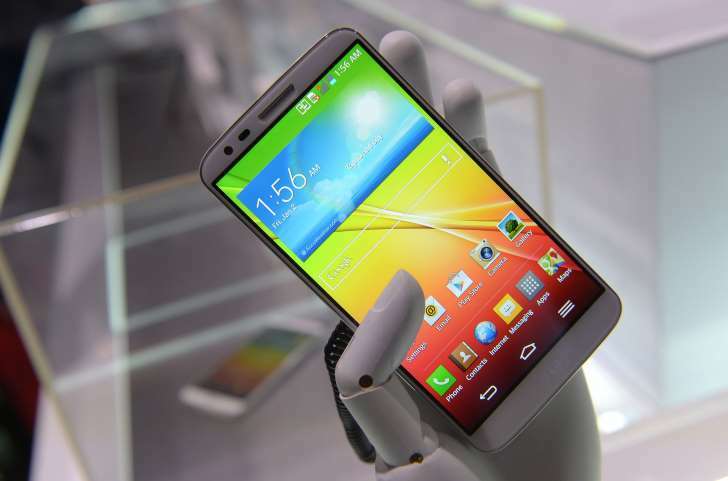 LG's smart phone, the LG G2, which runs the Android operating system from Google, is seen in New York, August 7, 2013. Google has sped things up where it can. An app called Google Play Services now lurks in the background and handles automatic updates for core features such as location, maps and payments. In the past, Google would have had to wait for the phone to get the latest Android update. 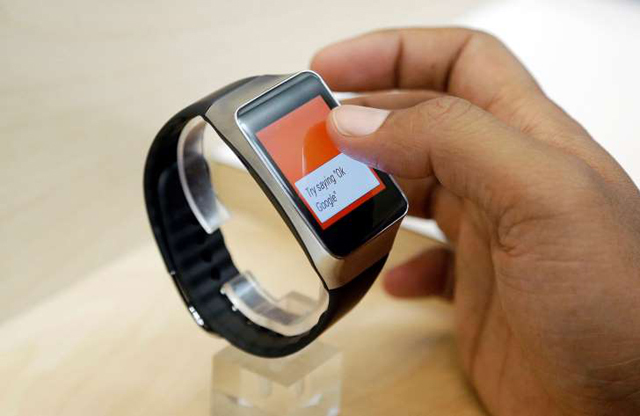 A man looks at the Samsung Gear Live, an Android Wear smartwatch, at Google I/O 2014 in San Francisco on June 25, 2014. Outside of phones, Google is exerting more control — for instance, over Android versions designed for smartwatches and streaming TV devices. Makers of Android watches can customize the software only in limited ways, such as the choice of digital watch faces. But this approach has its own drawbacks. Part of Android's appeal lies in its flexibility. Samsung's user interface is distinct from those from LG and HTC. Samsung brought fingerprint sensors to phones even before Google made it official with Marshmallow. 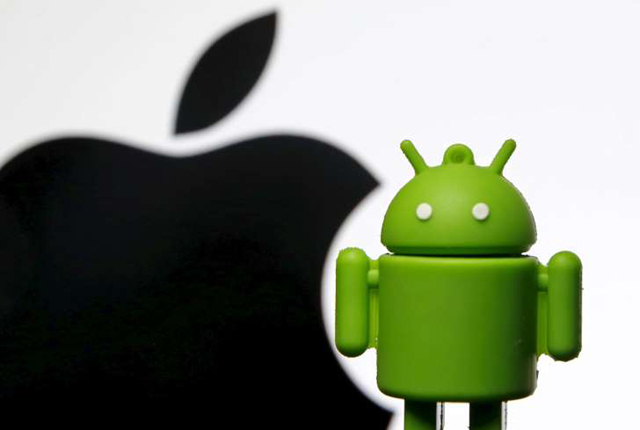 "A big reason for Android's success is the fact that it's open and customizable," says Geoff Blaber, an analyst with the research firm CCS Insight. "Google has to be very careful in maintaining a balance." The best way to get quick updates is to get a Google-designed Nexus phone. 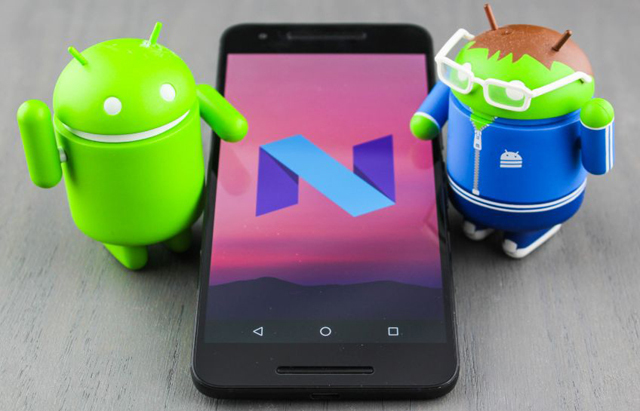 The Nexus models are a showcase for "pure" Android, and they get updates first. That's because Motorola still needs to make thousands of small changes to tune Android for different hardware configurations, says Seang Chau, a senior vice president for software engineering. Otherwise your phone might run slower and chew through its battery faster. 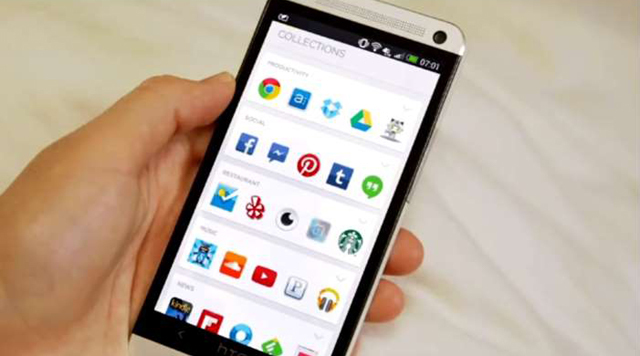 Carriers often gum up the works by baking custom apps, derisively known as "bloatware," into Android. But they also have to verify that essential features like calling and wireless data work reliably. That means — you guessed it — more testing and tweaking. You can sidestep all that by getting an "unlocked" phone from manufacturers or retailers. HTC's Mohammed Versi says that in some cases, updates for these models take a few weeks rather than months. Because carriers are phasing out phone discounts with two-year contracts, you won't pay more for unlocked models. You'll just usually have to pay the full cost upfront. The Android universe is getting better about security fixes. 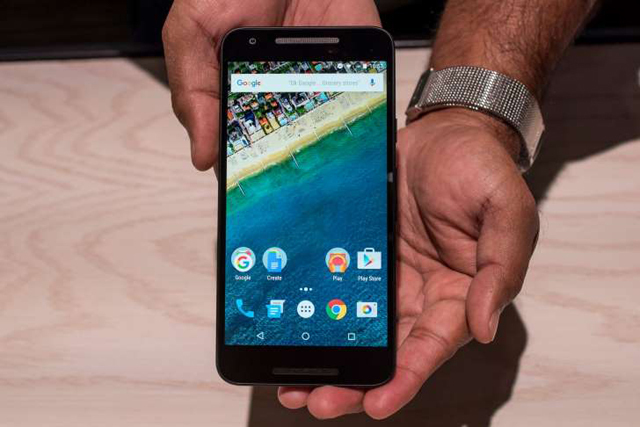 Google pledges monthly security releases for its Nexus phones. LG and Samsung have made similar commitments. Some carriers waive the usual extensive testing for security updates, Chau says, though some still don't. He wouldn't name them. 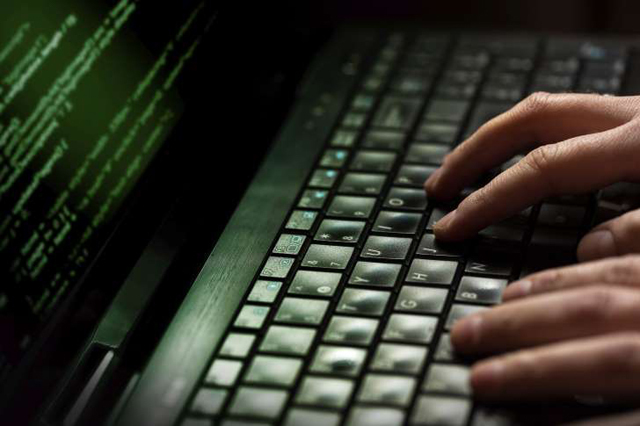 The wireless industry group CTIA says only that carriers are committed to delivering "thoroughly tested" security updates. But it hasn't committed to any specific time frame.